Let the Bead Spinner do all the work for you! No longer will you have to sit for hours hunched over with an aching back stranding those tiny seeds. The Bead Spinner works with any size seed bead that will slip over the curved needle, including Delicas and sizes 11/0 to 6/0. 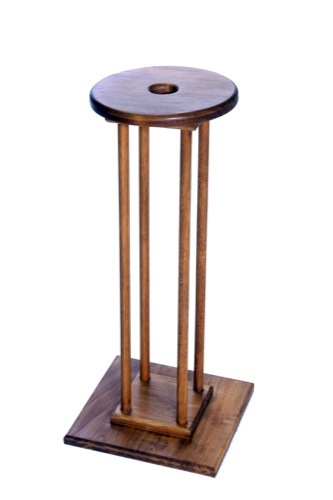 When you spin the bowl with the beads inside, centrifugal force is produced which forces the beads onto the needle. 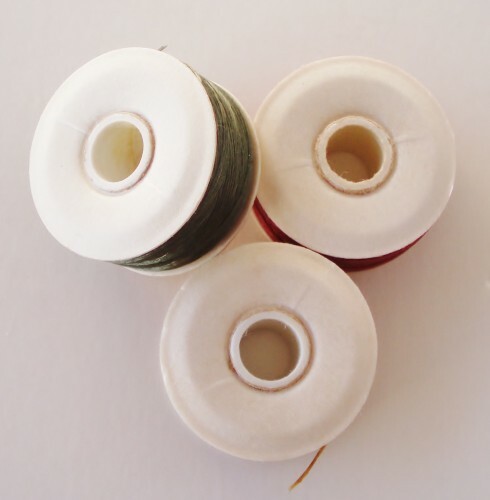 You may use any thread or wire that will fit through the bead when doubled through the "eye" of the needle or use a thin thread as a leader for stringing onto cord. 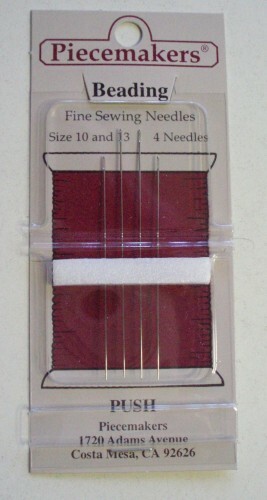 One 7 inch special needle is included with the spinner. For those who want to master Kumihimo-stype braiding techniques, but want a small, portable method, the Hamanaka is a great substitute. 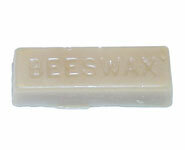 This may be used on the Soft Flex Twist project but NOT on the other kumihimo projects sold on this site. 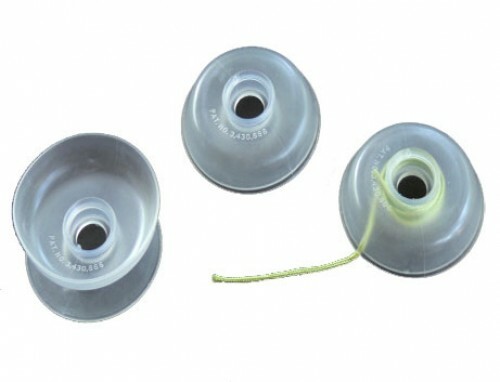 These wonderful small plastic bobbins are essential for keeping things neat and preventing tangles on all of your Kumihimo projects. 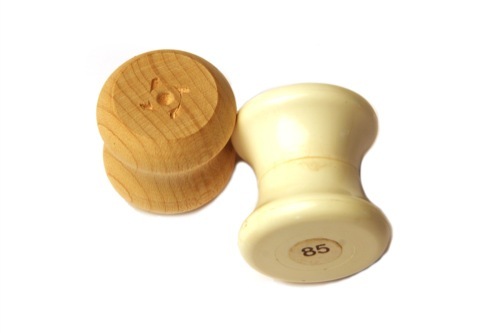 This is a packet of four 85 gram wooden bobbins. The set up includes a 24” hand crafted, wooden marudai, 8 wooden 85 gram bobbins, 1 leather draw string bag, 1 chopstick, 1 "S" hook and 300 grams of weights for the weight bag. This loom is by Beazu loom. 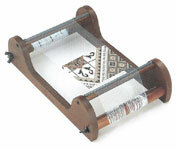 It is 12.5"W X 13"L X 3.5"W. The spring spacers do rotate down so that you can make a very long piece of beadwork. You can use this loom for continuous threads or a cut threads method. I admit it is not nearly as good a quality as the Miyuki looms (impossible to find in this country) but the price is great. I think for the money it is superb value. This loom will acomodate even the largest purses you may desire to make. The product is now called the Twist n Curl. 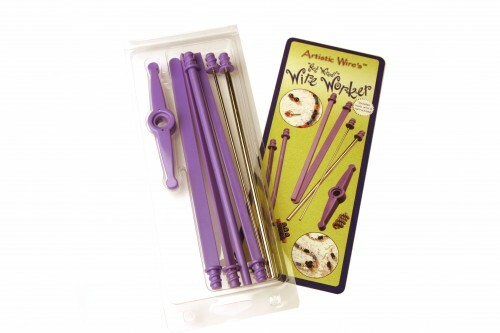 It is EXACTLY the same as the Wire Worker and NOT the same as the old Twist n Curl. Sounds confusing? Not really. It is the Wire Worker renamed. It has the 6 mandrels - 4 plastic and 2 metal - just like before. The metal mandrels are both round and are 2.5mm and 5mm. The plastic mandrels are square, triangle, oblong and round. This is the product that I used on the Delica Wire Connection, Magnificent Mums and the Twisted Twisted. 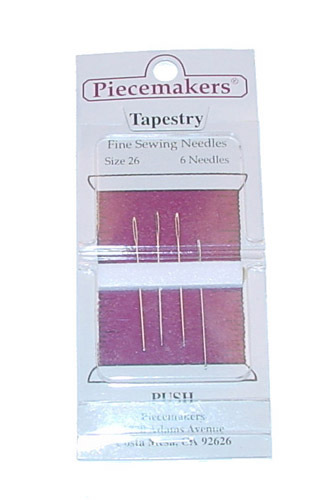 Piecemakers needles are simply the best!